At Manufacturer’s Rubber and Supply Company, our mission is to be our clients’ trusted advisor. We offer a variety of resources to help size, select, install, extract, and maintain our line of gaskets, O-Rings, grommets, and more. 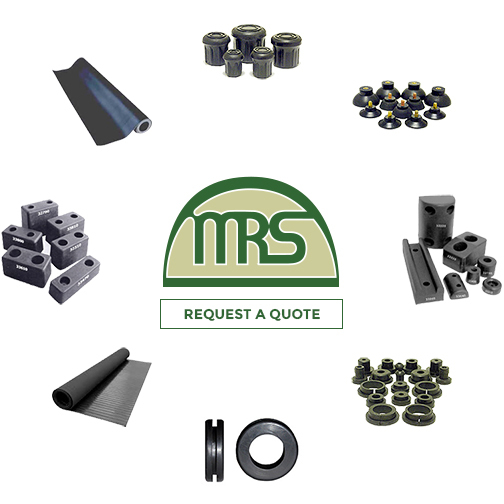 If you have questions about our product accessories or kits, contact one our rubber manufacturing experts today. Kits & Accessories: Our O-Ring kits and accessories come in a variety of packs for a range of industries and applications. See our selection here. Material Selection: We offer a downloadable list of the most popular materials with typically recommended use, as well as non-recommended uses, with mechanical properties. O-Ring Sizing Chart: Download our free O-Ring Sizing chart before you make your purchase. The sizing chart will help you select the O-Ring size you need for the application at hand. ORID O-Ring Identifier: The ORID® 70-C will indicate the material composition of 100, 200, 300 and 400 series O-Rings of 60 to 80 Durometer which are already known to be either Viton®, Kalrez®, Nitrile or EPDM. Learn how it works here. Parker O-Lube: Want to prolong the life of your synthetic rubber seals? We offer a barium base petroleum grease that can be applied during the installation of O-Rings and seals that will do the trick. Parker Super O-Lube: Alongside the Parker O-Lube, we offer an even more durable silicone based lubricant for any rubber polymer for extending the life your synthetic rubber seals. Read more about the benefits here. Parker O-Ring Installation & Extraction Tools: Get the job done right with Parker’s O-Ring brass installation and extraction tools. See what the kit includes here. Parker O-Ring Sizing Gauges: For precision O-Ring sizes, purchase the exclusive Parker size gauge device. Rubber Sheet Specs: We provide a range of rubber sheet specs available for free download that will help you determine the correct material, size, and resilience needed for your project.